Brad Cole Construction and their staff have done an outstanding job at the Alabama National Cemetery. Their experience and professionalism has aided substantially in the construction of a high quality, high profile and historically important project worthy of its intended purpose – a gift from a grateful nation. 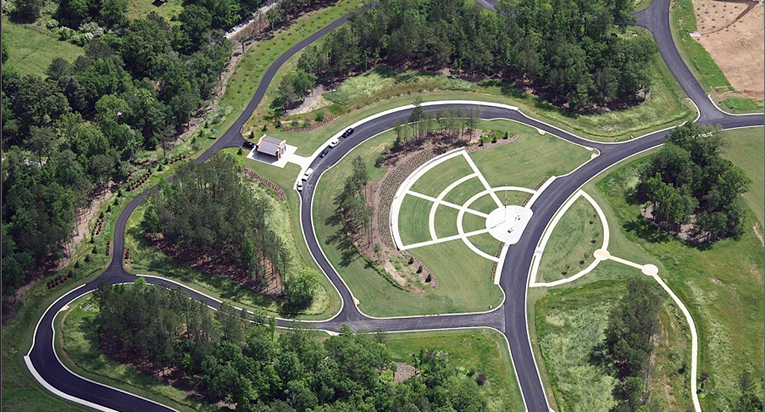 Brad Cole Construction was the turnkey site contractor for the Phase 1B construction of the Alabama National Cemetery, Montevallo, Alabama for the Department of Veterans Affairs. Project included the construction of: main entrance, roadways throughout cemetery, permanent administration and maintenance buildings, public information center, two shelters for services, 8100 casket sites, 2100 in-ground/above-ground cremation sites, and 2700 columbarium niches.